Dash cameras can be remarkably invaluable. It’s why every driver in Russia is required to have one. But sometimes you want to record more than just the outside of your vehicle, you want to record the inside as well. That might especially be true for someone who works with a rideshare service like Uber or Lyft. That being the case, similar to the cameras used by a taxi service, you’d want not only a view of the road around you, but a view of the inside of the vehicle. But for a lot of dash cams, that can be tough to do right. 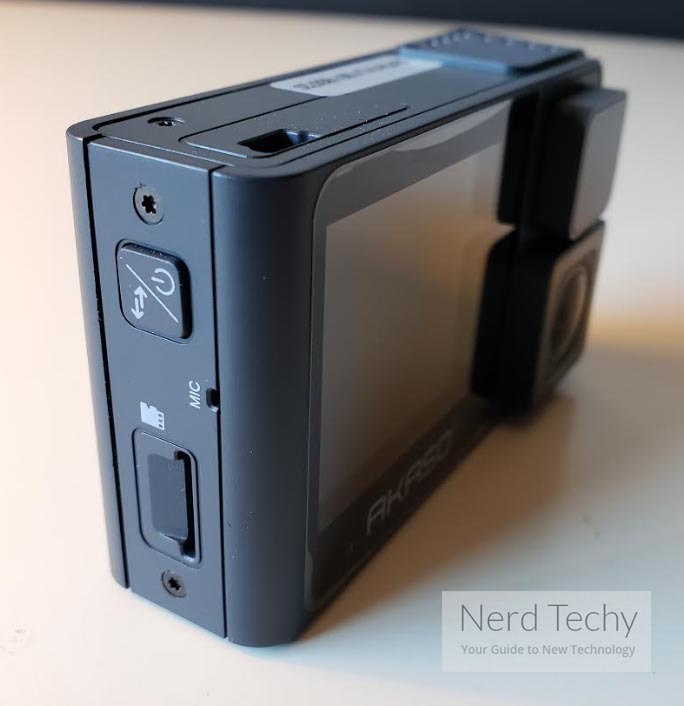 Because even though it seems like recording the inside of a vehicle would only be a minor change to how your dash camera works, it actually raises a number of new issues. You can tell the Trace 1 is trying to be a crowd pleaser. It was constructed to mix a variety of different feature sets together, helping taxi drivers, rideshare workers, and others to achieve their ends without having to involve two separate cameras. As such, the Trace 1 Dash Cam packs quite a few neat features into one place. An inside-and-outside camera configuration might suggest a fundamentally different set of features than other dash cameras. But the Akaso Trace 1 has basically all of the essential abilities people have come to expect from these types of devices. It’s built with a proper G-sensor, it has some intuitive parking modes, and so forth. But it also has a number of things people may not expect. For instance, video content is recorded with wide dynamic range support enabled to help capture a total picture of the area around you. When you don’t actually need to take advantage of both cameras, you can get better performance from using just one. And the Trace 1 also did pretty well when it comes to getting a few of the smaller details right. Once you’ve got it in your hands, there are a few things you’ll probably immediately notice about the Trace 1. On its backside, you’ll find a full color 2” LCD. It’s very bright and quite useful for viewing recording playback from either the front or rear lens. It takes up about two thirds of the backside of the device, with a lens and user interface taking up the remainder. Though the screen would be more visible from a distance if it were a bit larger, it’s visible enough once you’ve got it in your hands. Now the camera itself measures 3.2 x 0.9 x 1.8 inches, making it quite compact. The weight is just shy of one pound, so using an adhesive based installation is really quite simple to pull off. Once you’ve got the camera positioned properly, like any good dash cam, it doesn’t block your view of the road, and it doesn’t attract glare. One critical thing to notice about this camera is that the internal battery lasts about 20 minutes. That kind of detail doesn’t seem like it would be that important. After all, your vehicle is going to take care of power, right? But having that battery lifespan allows the Trace 1 Dash Cam to run far longer than 2-3 minute intervals when the motion detector is tripped, like similar cameras are restricted to using. And it’s entirely due to the capacitor used by the Trace 1. Well, almost entirely. Because there are lots of power-saving features are packed into this device. For example, there’s an automatic switch on the LCD to turn off the display after prolonged periods of inactivity. Those kinds of small details really add up. Especially when it means you don’t end up having to do as much work managing your recorded files. Speaking of recorded files, how well does this camera’s hardware perform at capturing content? 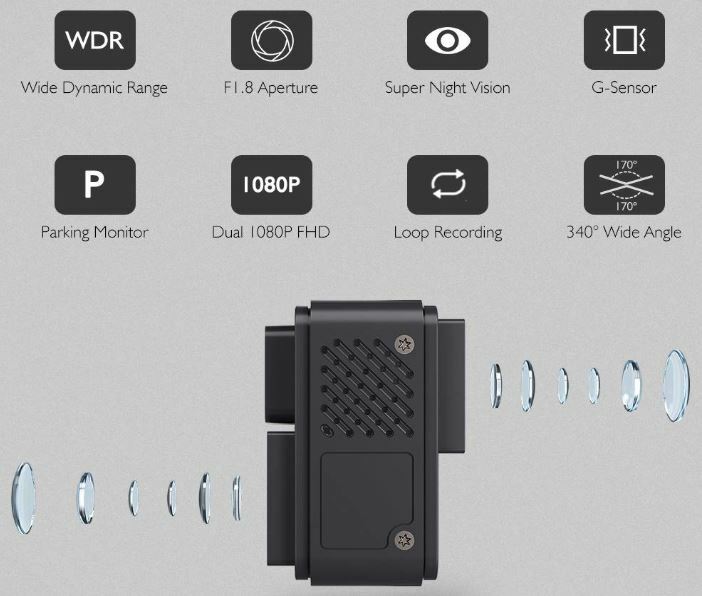 Well, as mentioned previously, the Trace 1 Dash Cam was constructed with a pair of dual lenses. Those are intended to allow you to capture the interior of your vehicle in addition to the road around you. And surprisingly, the interior camera works exactly as well as the exterior camera. Not only in terms of their hardware, but in terms of their general performance. For instance, both cameras deliver 1080p content. When combined, this effect covers around 340-degress, basically a complete picture of all the space around your vehicle. When recording isn’t needed from the back lens anymore, the front lens can swap from recording at 30fps to recording at 60fps. It’s quite the leap in smoothness for people who happen to be able to take advantage of it. But it’s really versatility that helps make or break a lens like this, which carries us on to examining night vision and similar supporting features. What good would a dash cam be if it could only see during half of the day? Strangely enough, night vision features on dash cams can still be hit and miss. They seem to be especially problematic with cameras like this, which aspire to record the interior of a vehicle in addition to the outside of the car. Because you’re actually better off using two separate night vision technologies when shooting the interior of your vehicle as opposed to the exterior, but many cameras end up using the same night vision tech for both shots. The Akaso Trace 1 ends up providing some wonderfully impressive night vision precisely because they bothered calibrating the two lenses differently. The success of the night vision is also partially the result of Sony’s STARVIS sensors, which were used in the construction of this camera. Those sensors help extend the visibility of the camera far beyond the light that the human eye can see, and out towards the infrared range. The result is equal clarity for your shots both inside and outside of the vehicle. 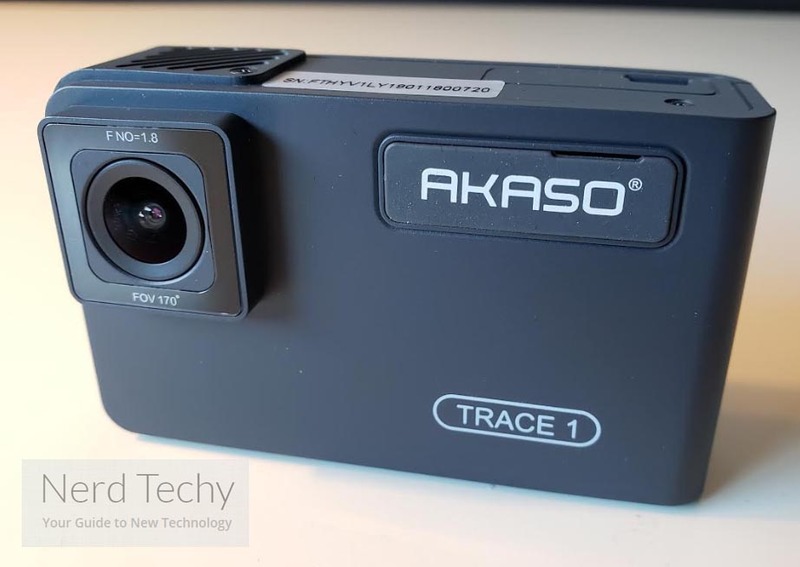 Like many dash cams, the Akaso Trace 1 was built with a parking monitor and G-sensor. It’s actually pretty standard issue stuff. If someone bumps your car, the Trace 1 will kick into action and start recording what’s going on. For customization, the G-sensor can be used to lock important recording clips to ensure collision events are never accidentally erased. Remember, this isn’t really an ordinary dash camera. It’s more like a specialized camera that’s focused on rideshare and taxi services. As such, this camera doesn’t have the same depth of different recording features you might expect from seemingly similar dash cameras. But the Akaso Trace 1 did manage to retain the features that still pertain directly to rideshare users. For instance, the parking monitor is great for protecting parked vehicles. It allows you to detect impacts, record the area around your vehicle for 30 seconds, and then switch off. But with few exceptions, you won’t find features that allow you to fundamentally change how you’re recording your view of the road. Trace 1 can be loaded with a 128GB microSD storage card. Unfortunately, this camera does not include a storage card, so you’ll need to bring your own. You’ll probably want at least 16GB, and a card that was intended to be written and re-written. What happens once you run out of space? Well, the Trace 1 supports loop recording. That ensures that the oldest stuff that’s been saved on your storage drive will be the first to get overwritten when you run out of space. And as mentioned earlier, a little customization with the G-Sensor can be used to help lock down clips you don’t want to lose. 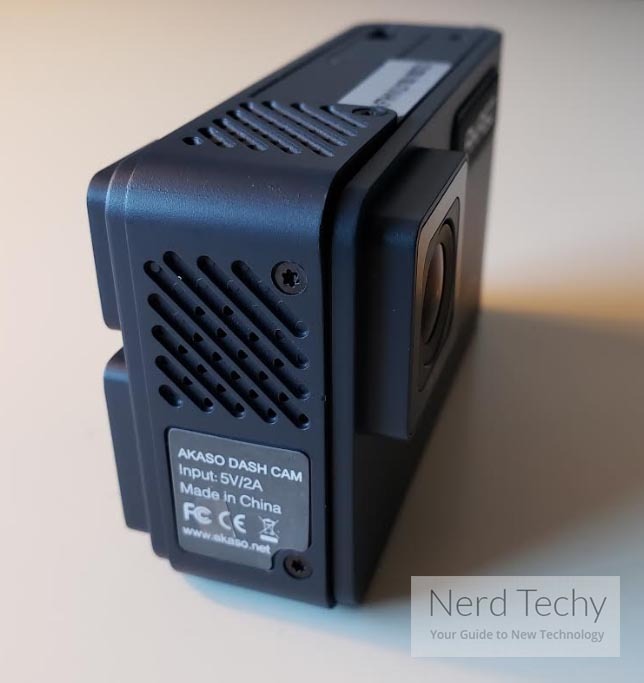 Like many similar dash cams, the Akaso Trace 1 Dash Cam does not have an incredibly good microphone. If you’re driving a convertible with the top down, this microphone is probably not going to have the performance necessary to keep up. But short of those kind of extreme conditions, it’s what you could call adequate. The only issue is that it’s not special. It’s not supported by some extra noise cancelling technologies, and it’s not especially expandable or adaptable. It might be worth noting that the internal microphone has an on/off option, so you can get rid of that portion of your data stream if you don’t actually need to record sound. Occasionally, dash cams include expandability options. For instance, they might not have some kind of built-in GPS, but they still allow you to connect a GPS later on. The Akaso Trace 1 does not have that. It’s made to be a self-contained unit, and it’s supposed to deliver everything you need without having to add anything else. With that in mind, it might be worth noting the features which aren’t present onboard this camera. You probably noticed the Trace 1 does not support native GPS features. Nor does it have a Wi-Fi or smartphone interface to help you move your data. Whether or not you actually need those types of features totally depends on you. 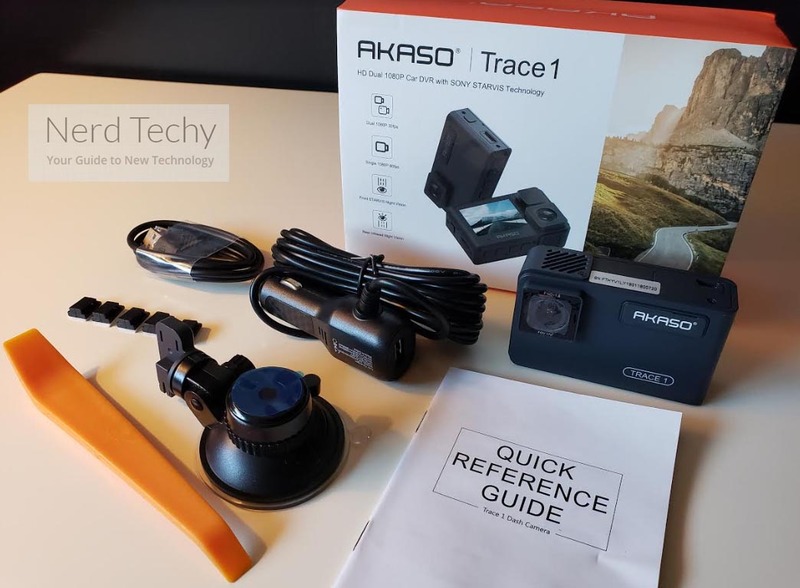 In addition, the Akaso Trace 1 includes a one-year warranty. It’s a pretty nice thing to have for added peace of mind. 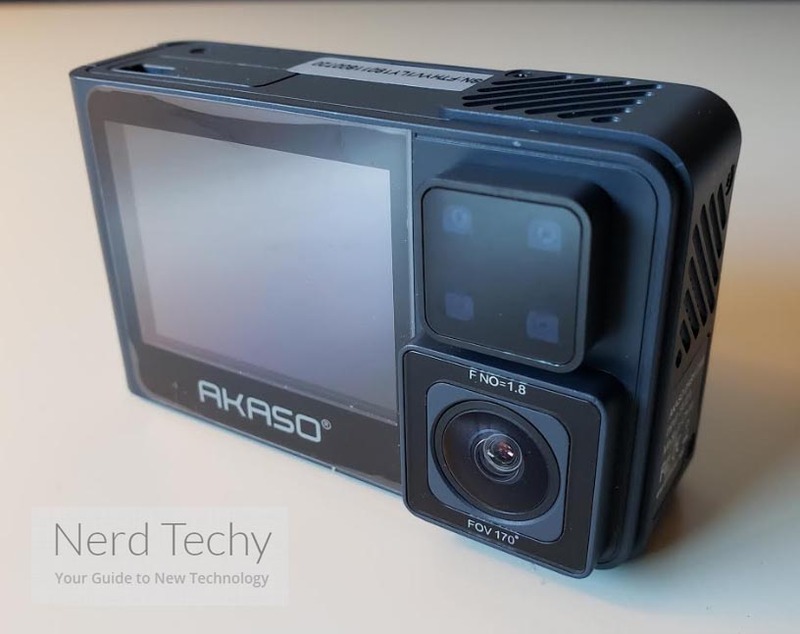 Who Should Pick the Akaso Trace 1 Dash Cam? Having a front-facing 1080p lens is pretty common. But when it comes to the back-facing lens, a lot of different dash cams tend to leave you running 720p. Which isn’t awful, but it doesn’t allow for the kind of wide dynamic range shots you can get when both are at the same resolution. 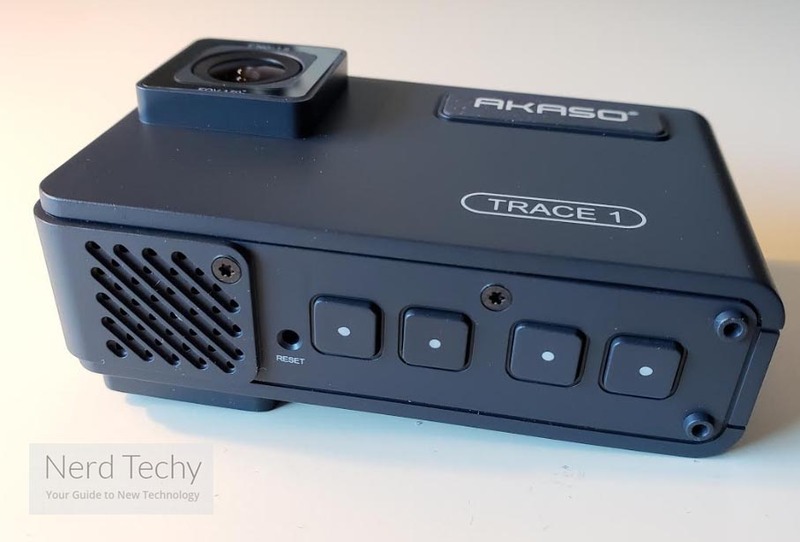 It’s pretty clear the Akaso Trace 1 was made for people who are involved in rideshare services, and it was made by people who understand what this type of camera really needs. For someone looking for a run of the mill dash camera, this will probably not do the trick. It’s quite specialized, with the majority of its features being focused on that second internal camera. 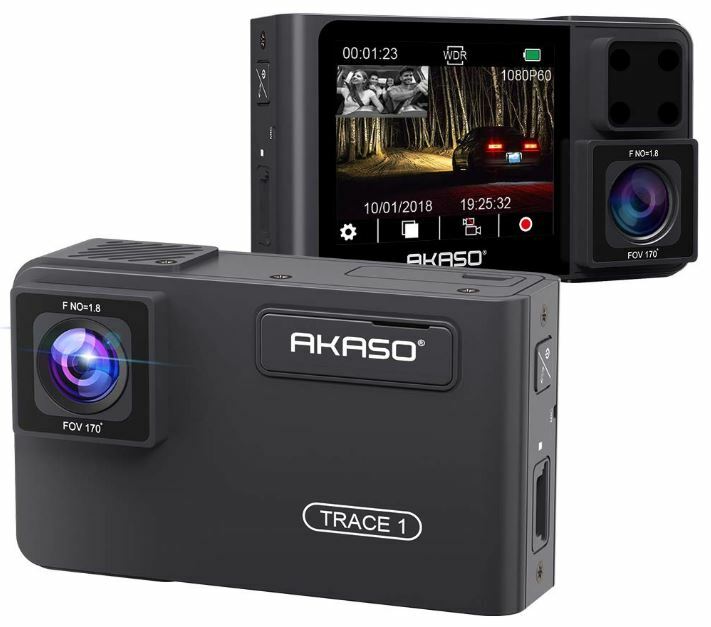 But for someone who wants to record the inside and outside of their vehicle with equal clarity, the Akaso Trace 1 Dash Cam is an incredibly affordable and approachable way to shove a camera inside your car without much hassle.